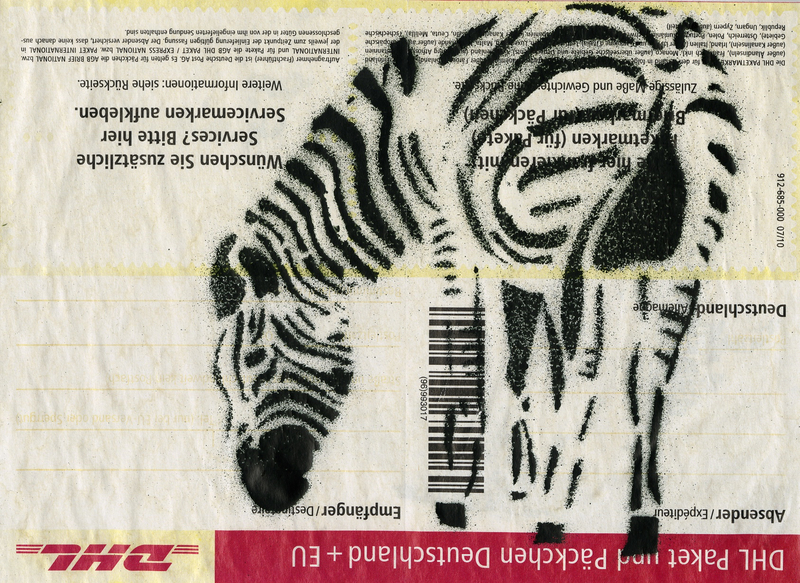 This sticker depicts a giraffe spray-painted on a reversed German postal blank. Postal stickers are popular in sticker art due to the availability, affordability and relatively large blank areas on the stickers. The artist reversed the sticker and used the red title block as a ‘ground’ to position the zebra.